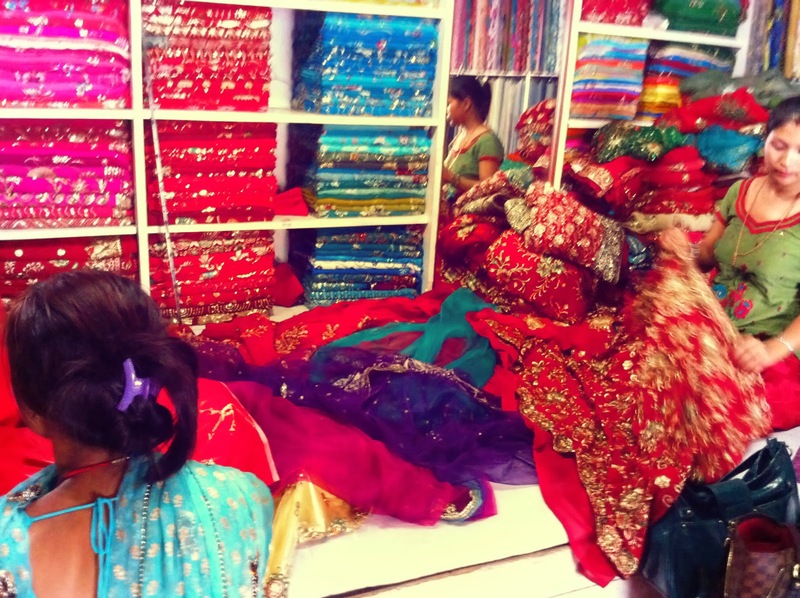 Hello again :) I wanted to share one of the time I spent in Nepal while going for Saree shopping and something that made me so happy that day apart from getting the sarees :D. As I'm Nepalese and Hindu, I love and the word LOVE sarees. Saree for me, is one of the most feminine look a woman can ever wear <3 . There is a famous quote made by someone about saree that says: ''Saree covers the right amount, and reveals the right amount. Its such a perfect tease''. And hell yes that is indeed 100% accurate and the perfect description for it I agree. As any Asian would do in Asia, you gotto bargain for anything that you want to buy lol. And as any Asian seller, they add massive amount of profit in the goods they are selling sometimes the profit ALONE is more than the actual price they purchased. To start off with the story of that day, I want to share a little information of my family that will be needed to understand what is going on. 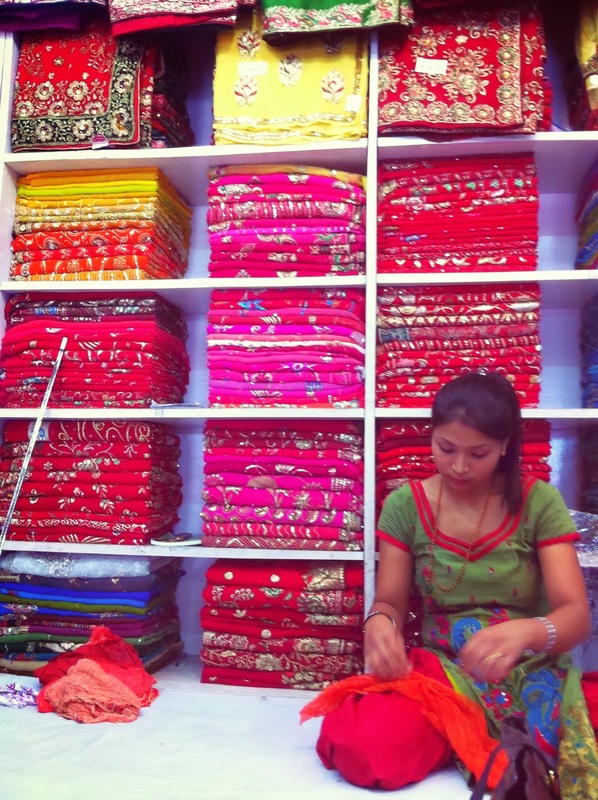 My family owns a clothes shop in Nepal, its a solo business, like majority of the shops in Nepal, like in most Asia. My family has different links with lots of other shops where we buy stocks for our own shop. The shop in the pictures I've posted here is one of them and is in a place called Pokhara. Theshop was kind of hectic and pretty big with many workers which the main owner of the shop hired, each of them displaying different things that their customers were looking for. 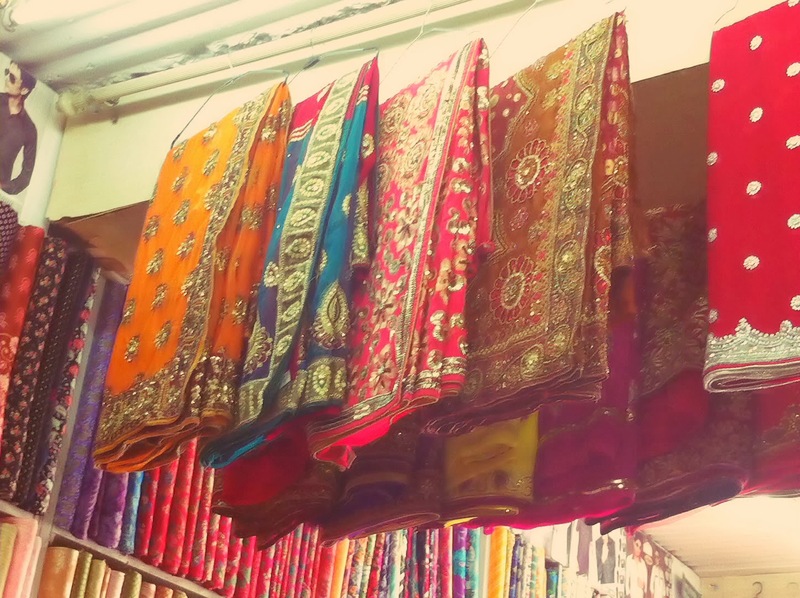 When my mother sister was looking for the goods for our own shop for selling, I was too busy dribbling for all the beautiful and sophisticating sarees as I was seeing them hanging hehe. At that moment I first thought that the first worker somehow had a mistake reading the price or something lol. But when I told my big sister about what I heard, the answer she gave me made me so damn happy! She told me that both prices I heard are right, 22 thousand rupees is probably the price they're selling to 'normal customers' who comes to buy. What do I mean by 'normal customers'? Well the main owner 'knew' me as my family is a regular wholesale customer, so he was being nice to me telling me the wholesale price of that saree!! Basically I was so damn lucky to be part of my family where the seller was willing to sell me the sarees with the wholesale price not the actual price they're selling to normal customers !!! C'mmon, 22 thousand rupees and 7 thousand rupees what a huge gap! Straight away after hearing what my sister told me, my heart could feel that 'giving up' mood fading straight away :D I became a happiest bunny ever! Its like I didn't even had to bother bargaining. The seller was too generous. Amen. This shop is madness! 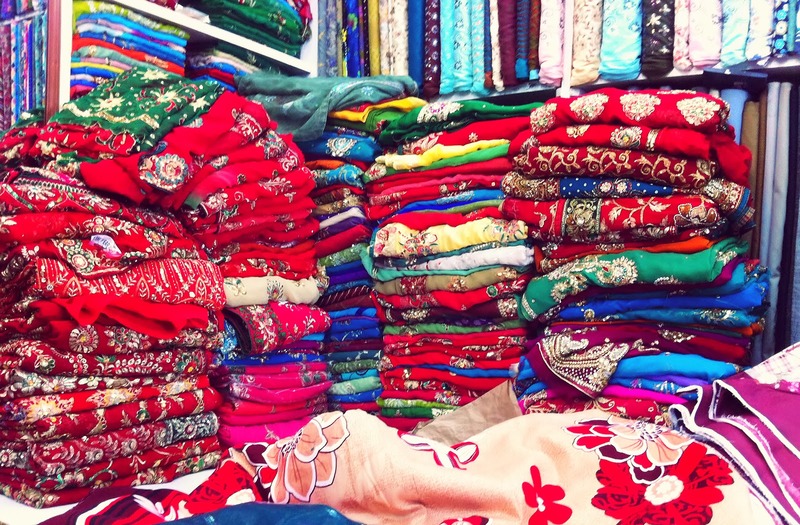 So many sarees to choose from. So little time. I love playing with other colours but never get tired of red sarees. Two of the sarees that came home with me on that day. Its a bit coincidence the way both of them happened to have green border hehe. Red and green colour combination like on the left is one of the many famous colour combination in sarees, plus I love the type of print that this particular one has. 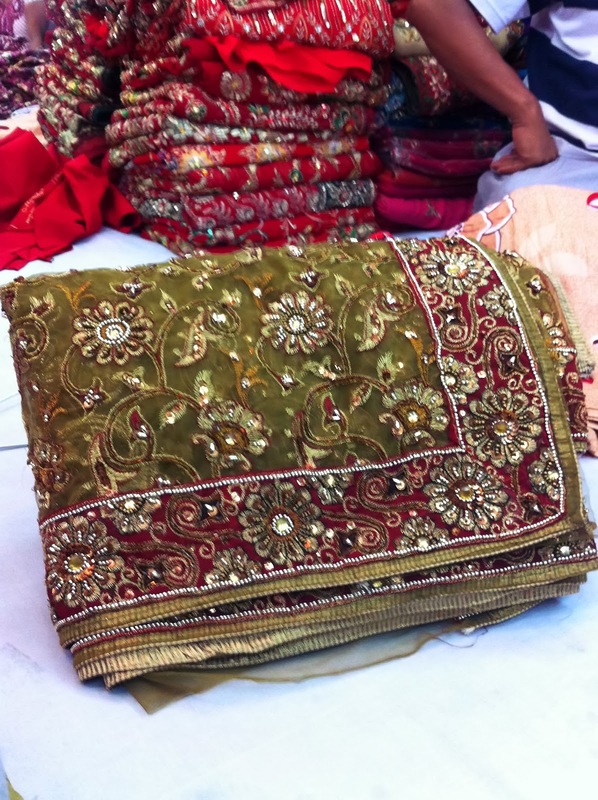 This particular saree on the left was the first saree that I had my eyes on, after going through lots of other kinds of red-green sarees in the shop, I stuck to the very first saree I saw because most of them had something that I didn't really like. The second saree on the right I was bit unsure deciding in the shop, plus seeing all the countless sorts of colours who wouldn't have indecisive mind! Plus that is something how I always am when it comes to coming up with a valid decision, always leave myself with dilemmas. 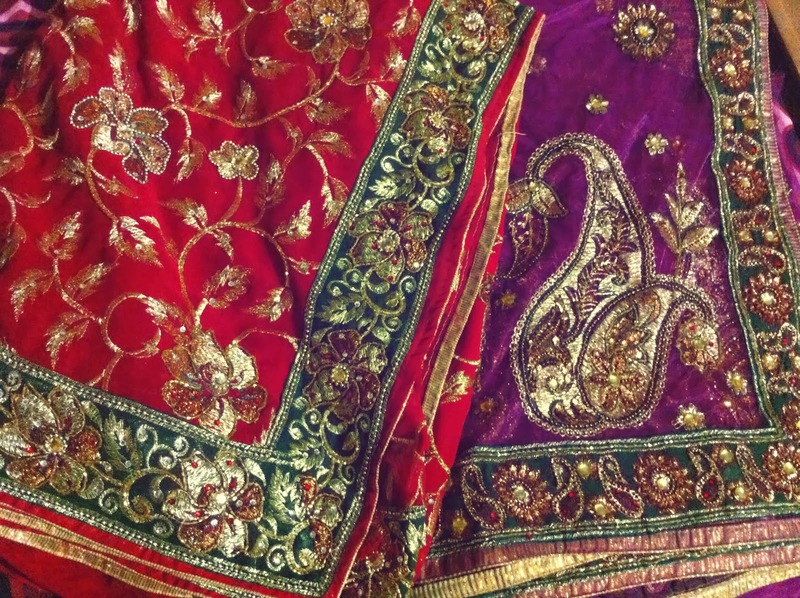 Anyway, going back to the topic of second saree, the colour in the picture looks bit more purple than it is. In real, the colour is more of a Magenta colour which is one of my favourite colours I'm into recently. I like how the Magenta colour is not entirely pink but not entirely purple, its more of a colour in between as if they're mixed. So yeah, the colour of the saree in real is Magenta.